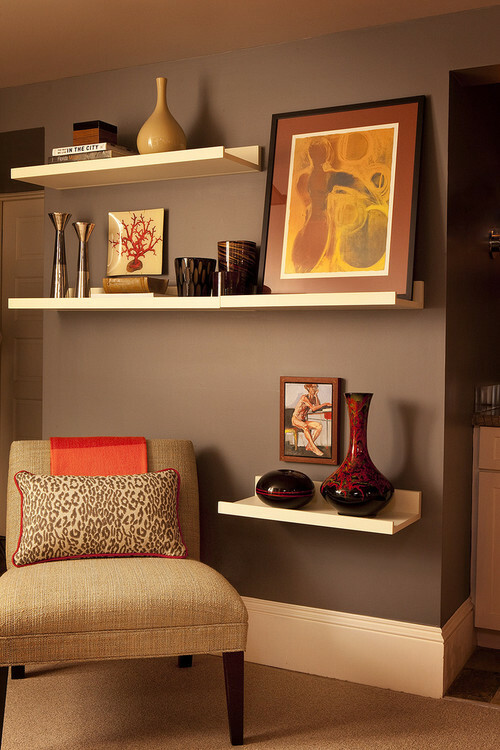 Utilizing shelving and ledges not only creates additional storage, it also adds interest and style into a space. 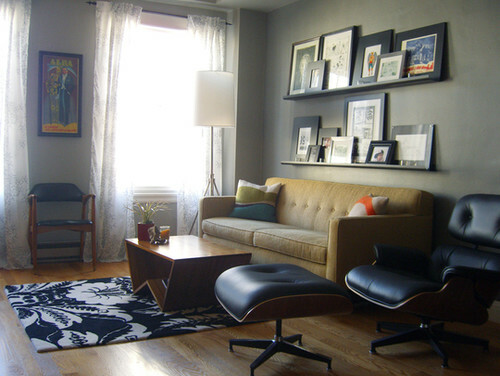 Wall mounted shelves and picture ledges come in a variety of designs. They are great for displaying family photos and collections. Placing a variety of small items on a shelf often look like cluttered. Instead, choose larger, bold accessories that will stand out. Ledges are also great for organizing bathrooms and small spaces, also providing visual interest to an otherwise stark space. 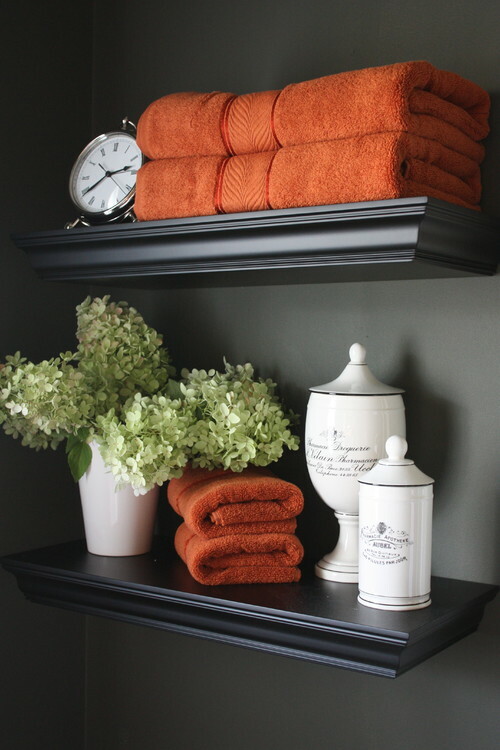 This space appears much larger and the shelving offers an attractive way to display bathroom accessories. 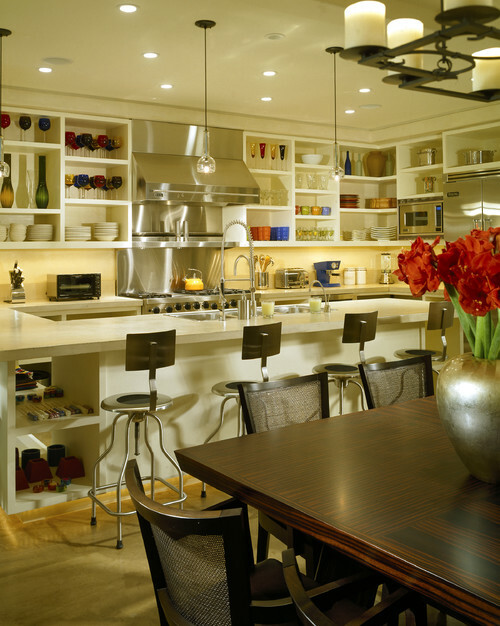 Open shelves in kitchens and pantry make a kitchen feel more open and airy. 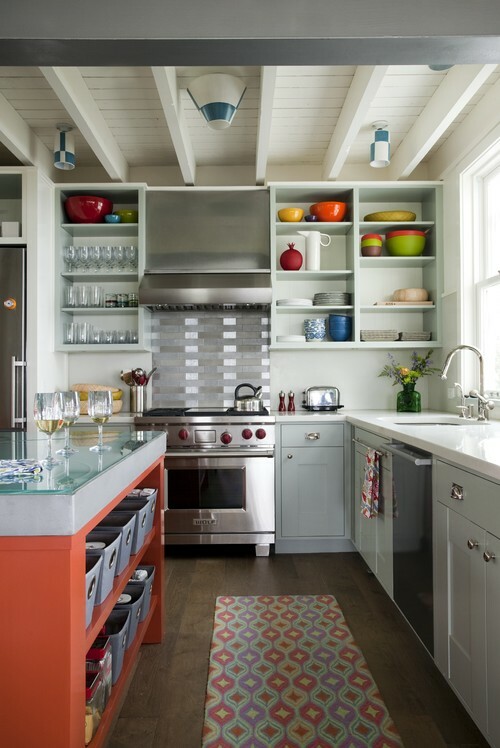 The openness of these shelves helps to create a feeling of added space while making everything more accessible. This home decor video by Pottery Barn demonstrates in easy steps how to install ledges and shelves at home.